So I've noticed from all the DU videos that at the moment clouds are seemingly just a single flat model held at a height, and frankly look awful. I assume they're just placeholders, but id like to know if DU intends to make more advanced clouds. As silly as this seems, I think clouds in a single-shard open-world space/planet game are actually going to be fairly important in terms of graphics, as you'll see them from basically every angle. And so far, most games (especially space/planet games) completely get clouds wrong and just have these cheap awful white texture blobs in the sky, or none at all. 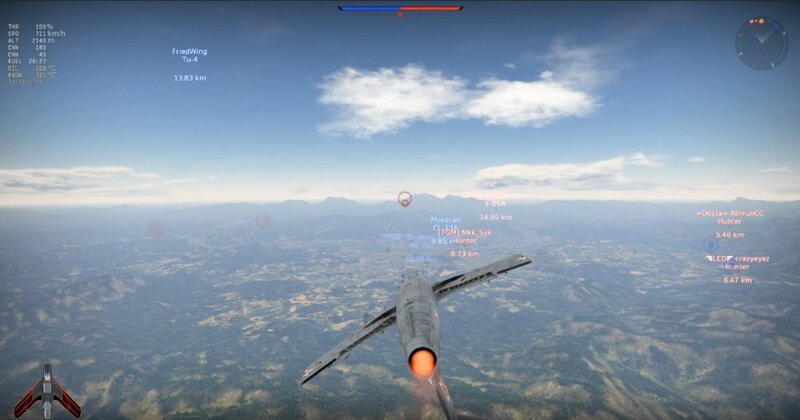 For example Warthunder, which (when in planes) takes place at above, in and below sky level - yet has fairly bad looking clouds (despite being a fairly pretty game otherwise). Just as a reference, take a look at Horizon: Zero dawn's clouds (link below). They're absolutely gorgeous. And it's suddenly very easy to mistake the ground underneath them ISN'T REAL. Wouldn't it be amazing if we could have clouds like these? Devs, do you think it could be possible? Probable just a place holder but I think most people or concerned about game play and being fun over cosmetic's ? They are trying to accomplish a lot by just have everyone on one server but I'm sure once they have the main factors of the game working right they will tweak the game in other areas like cosmetics. Clouds with volume and three dimensions would be nice, but as the two above me stated, let's work on the foundation first before working our way up. JC already pointed out: Cloud systems in worlds would not just be graphics but 3d entities that simulate rain and take up volume and move according to all the dynamics of planetary climate systems (eg Coriolis Effect? ): So quite a big process to add apart from visuals. Clouds look fine for what they are for the present pre-alpha, I do agree a "Cloud Spotter Enthusiast" I look forward to superior clouds at some stage and precipitation -> vegetation etc. I heard that clouds will be handled in the cloud. Pretty sure that means the Amazon, so expect rain. Really good comments guys, thanks. If they do end up adding clouds like the video @Tango_Lima just posted then I will be very happy indeed. As for what you guys want first, I feel like that's fairly irrelevant as the graphics/world building guys really shouldn't also be the backend server guys, so this isnt the kind of thing that would stop the other progressing. And I dont expect or event want work on this any time soon, I just thought its worth discussing. Actual gameplay should come first before anything else at this point. Thanks @MookMcMook for the info, I wasn't aware they'd said anything about clouds before hand. I think they mean that the idea is to get all the features working before taxing the resources for advanced graphics. Same for sounds and visual effects for engine in this one, we haven't these ones yet in Dual. That's because the dev version is different to the client pre alpha gets atm for obvious reasons. @Tango_Lima You might want to be careful talking about what is or is not in the game. The only information that isn't covered under NDA are the videos/information provided publicly by NQ. Indeed Felonu, these video came from the twitter of the Boss ( = JC Baillie ) , they are public. The full extent of what Unigine is capable of may not be possible in the DU implementation, because a voxel-based MMO may have performance constraints that impact gfx fidelity. It would awesome if DU's game world looked like that Unigine demo vid, but I suspect it will not reach that level. To be honest the audio there seems like it was edited in rather than in-game. Which wouldn't be unreasonable as the video wasn't exactly a tech showoff, it was just a quick tribute. We very rarely see games with interactive audio that's quite that realistic in terms of action, and DU is still really early in dev. If it is from in-game then its quite exciting.